Celebrate summer and get a cool deal on WordPress hosting. 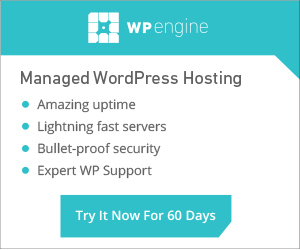 Sign up for an WP Engine annual plan and get 3 free months of hosting! Just use the promo offer “HEATWAVE” when you sign up to claim your free hosting! Limited Time Offer Expires August 19, 2013. HostJury compiles discount web hosting coupons, vouchers, promotions, and other special offerings by various web hosting companies. As always we recommend that while price may be a consideration when choosing your web host, it should only be one of the many factored into your research. Page load speeds, additional features, good communication, and a fast knowledgeable support team will always top saving a few cents per day... And as always, HostJury makes no recommendation or endorsement of any web hosting providers.